The first thing to know about The Shop Around the Corner, is that, for roughly the first nineteen minutes, it’s set during the summer. There’s not a snowflake or jingle bell in sight. There’s just Matuschek’s gift store, and the people who work there, waiting for the owner, Mr Matuschek (Morgan), to open up the store for another day. 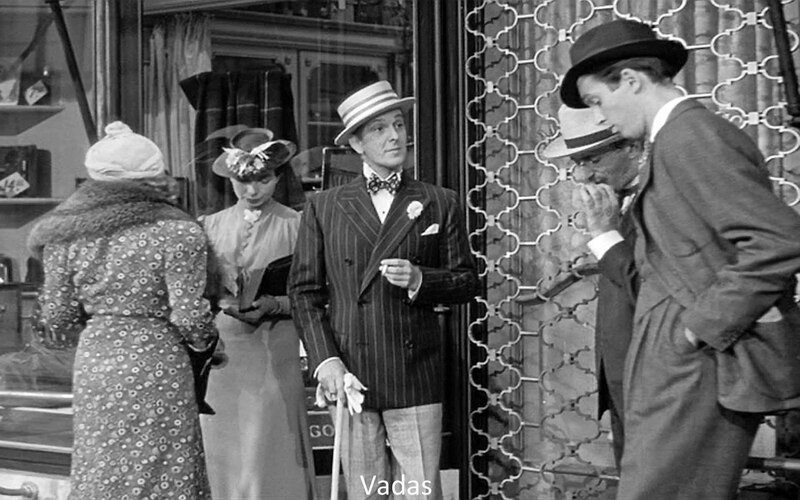 There’s Pepi (Tracy) the errand boy, Alfred Kralik (Stewart), the senior sales clerk, and the other sales clerks: Mr Vadas (Schildkraut), Mr Pirovitch (Bressart), Flora (Haden), and Ilona (Courtney). Later, Kralik is approached by Matuschek with the idea of selling a musical cigarette box; Kralik dismisses the idea for a number of reasons, and Matuschek reluctantly acquiesces. But Kralik hasn’t heard or seen the last of the musical cigarette boxes. When Klara Novak (Sullavan) comes to the store looking for work, it’s her impromptu sale of one of the boxes that gets her a job, Matuschek’s respect, and Kralik’s reluctant admiration. But a mutual animosity soon takes over, and Klara and Kralik bicker with each other over almost everything. By the time Xmas is just a couple of days away, nothing has changed between them, but the relationship between Kralik and Matuschek has. The store owner no longer takes Kralik’s advice, or delegates important work to him. A row over who should stay on after work on the window displays leads to Matuschek firing Kralik, and much to the dismay of everyone else. Kralik leaves, dejected. The only positive thing he has going for him is a first date with a girl he’s been penpals with since before the summer. Their correspondence has led to this first meeting, but Kralik isn’t sure he should go, partly because he’s nervous, and partly because he’s feeling down. He takes Mr Pirovitch with him to the cafe where they’re supposed to meet, and gets him to see what his penpal looks like. Surprise, surprise, it’s Klara. Kralik goes in and acts as if he’s there by chance, and soon learns that Klara’s romantic idealisation of her penpal is so complete that he is regarded as far inferior in comparison. Meanwhile, a major development involving Matuschek and the real reason for Kralik’s dismissal leads to the store needing a stand-in manager. Kralik takes on the role, much to everyone’s surprise (and relief), though Mr Vadas’ position has become untenable. With Xmas Eve upon them, Klara has arranged another meeting with her penpal, though she’s still unaware that the man of her dreams is also her boss. The only thing Kralik is unsure of is how she’ll react when she learns about his deception. Well, we all know the answer to that one, don’t we? 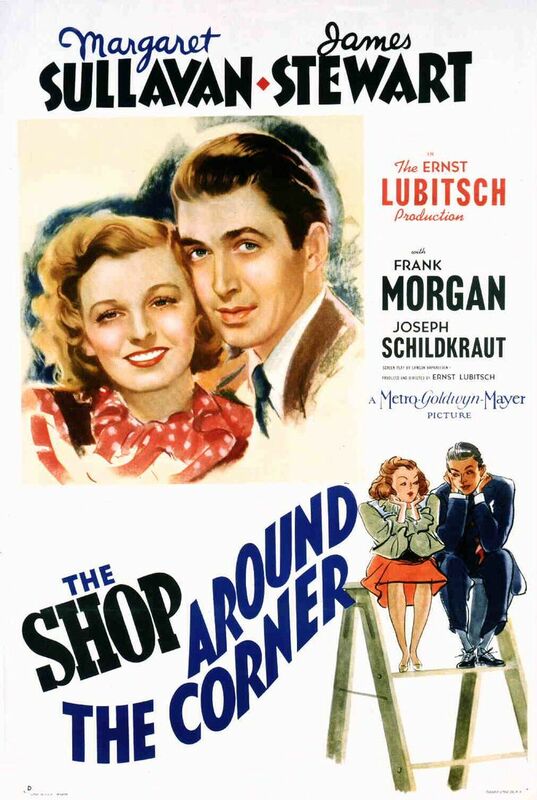 The Shop Around the Corner, adapted from a stage play by Miklós László and scripted by Samson Raphaelson, is a sheer delight from start to finish, another feather in the cap of Ernst Lubitsch’s career that is as entertaining today as it was seventy-six years ago. From the opening scene where the staff at Matuschek’s gather outside the store, the viewer is treated to a mini-masterclass in characterisation, a narrative and acting shorthand that obviates the need for long stretches of dialogue. Each character is recognisable instantly, and with their individual quirks acknowledged from the start, from Mr Pirovitch’s amiable passivity to Ilona’s youthful, fun-loving exuberance, to Mr Vadas’s irritating peacock-like strutting. Stock characters, perhaps, but already the kind of characters the viewer knows they’re going to enjoy spending the next hour and forty minutes with. And so it proves. With the further introduction of Mr Matuschek – gruffly pompous – and Klara – sweet yet determined – the roster of characters is complete, and the small matter of the central romance is instigated. Around this, Raphaelson’s superb script adds layer upon layer of throwaway moments, from Pirovitch’s disappearing every time Matuschek wants someone’s “honest opinion”, to Pepi’s impersonation of Flora on the telephone (to avoid carrying out an errand for Mrs Matuschek). There’s a wealth of little moments like this, all designed to add extra merriment to a romantic comedy that fizzes and sparks when its central characters are sparring (but not sparing) with each other. 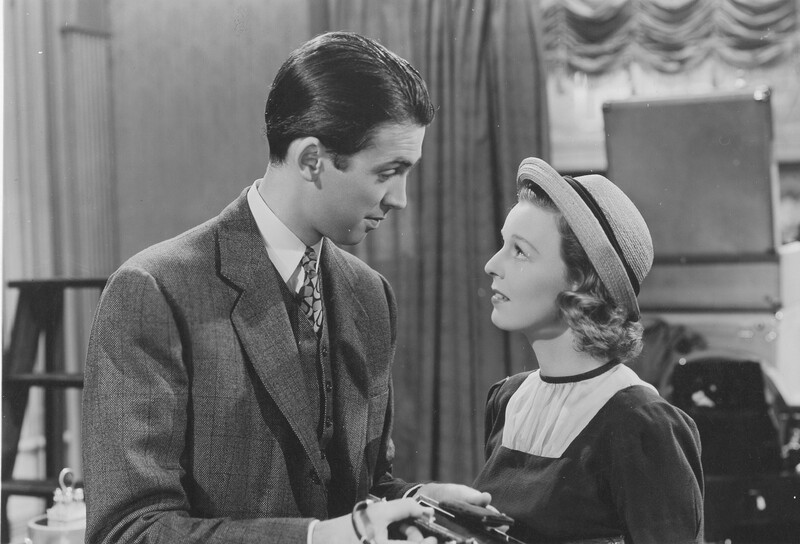 Sullavan and Stewart play their roles to perfection, she disparaging everything he does, while he tries to find a way of evening the score. 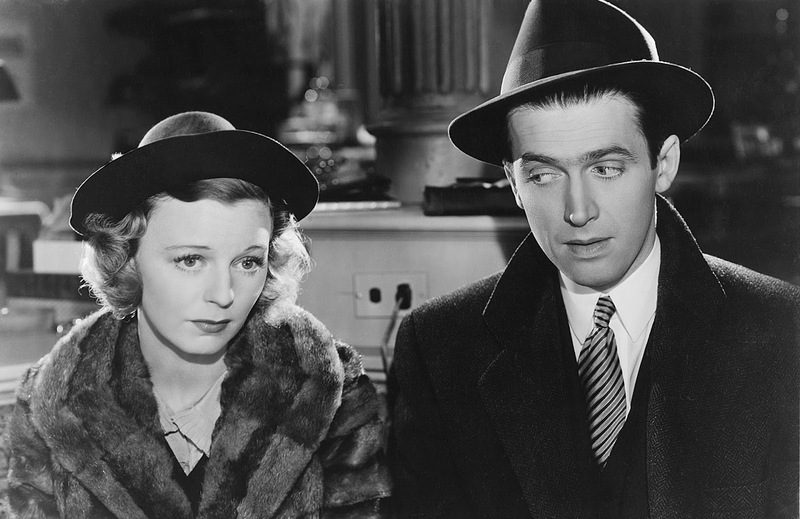 Both actors are a pleasure to watch, never missing a beat – either comedic or dramatic – and Sullavan’s breezy demeanour is complimented by Stewart’s often bemused, distracted presence. They’re matched by Morgan’s ebullient turn as Matuschek, his story arc taking a darker turn as the movie progresses. There’s a moment where Matuschek realises that he’s made a huge, dreadful mistake, and the actor’s mournful, disconsolate expression speaks volumes as to the depth of his misjudgment. What follows is the movie’s most dramatic, and most affecting moment. Lubitsch imbues this scene with a quiet power that allows it to linger in the memory long after the movie has concluded, and it’s a mark of his skill as a director that it in no way disrupts the otherwise sparkling dialogue and engaging narrative. The German émigré displays a tongue-in-cheek approach to the material and a stylish wit throughout (the so-called “Lubitsch touch”), and he finds nuances in Raphaelson’s screenplay that add further lustre to a movie that is funny, sad, uproarious, charming, elegant in its construction, and unrelentingly appealing. Rating: 9/10 – a perennial favourite amongst fans of Xmas-based movies, The Shop Around the Corner is a movie that effortlessly raises the spirits and puts a lingering smile on the viewer’s face; undeniably entertaining, it’s like an old friend you haven’t seen in years but who also holds a very dear place in your heart, and once you’ve seen them, you can’t wait until you see them again.